Warm bamboo massage is a form of deep tissue massage; perfectly suited for those who prefer a firmer, deeper massage. Bamboo has been used in ancient rituals for life energy for thousands of years; symbolising eternal youth, strength, prosperity and peace. Today, this versatile renewable resource has been reintroduced through warm bamboo massage therapy. The gently warmed bamboo canes are used as tools to knead the muscles to work out tension and muscular dysfunction from overworked, tired and aching muscles. The bamboo canes iron out tissues; draining waste and excess fluids, detoxifying the body and helping to eliminate water retention. 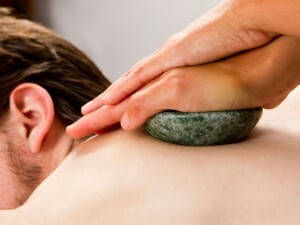 When combined with the comforting, relaxing qualities of the heat, this treatment delivers a fabulously therapeutic and unique massage; soothing sore muscles, increasing circulation, detoxifying, draining and creating a sense of deep relaxation and calm. A warm bamboo massage is the ultimate remedy after a long hard day; dissolving stress, anxiety and worries, it stills mental chatter to transport you to a place of inner peace.